Preaching is a dangerously high calling in which mere mortals dare to speak on behalf of God. All too often, well-intentioned preachers preach poorly. But what do good preachers do well? And what can we learn from them?Simon Vibert has studied the work of today's leading preachers with an eye for discerning the dynamics of effective preaching. 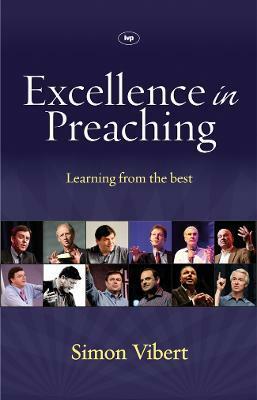 Each chapter profiles a contemporary preacher and lifts out practical principles for sermons that are biblical, motivational and transformational. World-renowned preachers like Tim Keller, John Piper and Nicky Gumbel display excellence in preaching bybeing aware of cultural and philosophical challenges to the gospelinspiring a passion for the glory of God letting the Bible speak with simplicity and freshnessteaching with directness, challenge and relevanceexposing all of God's Word to all of God's peopleand much moreLearn from the best. And become the best preacher that you can be.